Fuchsia evening gown steals the show at the Four Seasons Hotel, Istanbul. Our lucky client brought a touch of British glamour to this posh wedding last weekend. She wears a soft tulle strappy-back fuschia evening gown that has a tightly fitting ruched bodice and a full length skirt that drapes closely to the body. To keep off the evening chill we paired this with a black marabou caplet. Here she is! In a gorgeously stylish backless halterneck gown with no need for a necklace as the neckline is embellished with citrines. You can’t go wrong with a simple elegant black formal dress! Come and see, we have a very good selection for a Black Tie event. This one in particular is very flattering and figure-hugging in all the right areas, as the material has a somewhat of a ‘Spanx style’ like fit all on its own. 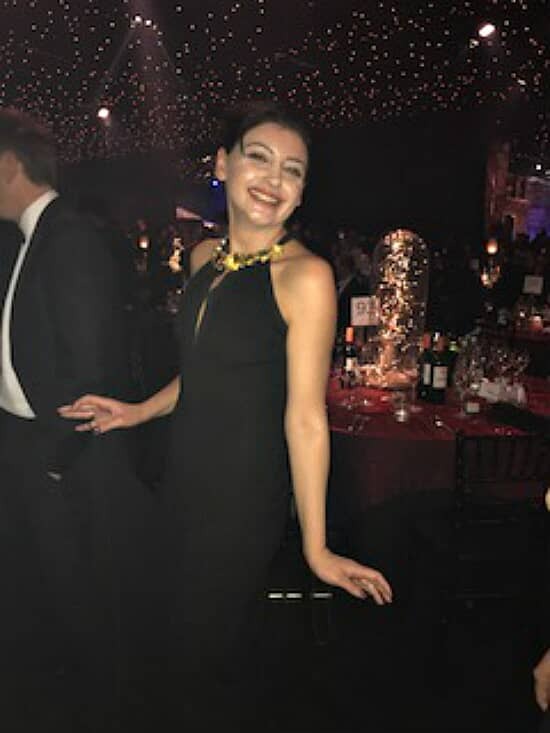 Pictured at an event in Paris wearing our popular form-fitting, grass green, off the shoulder, side slit evening dress. 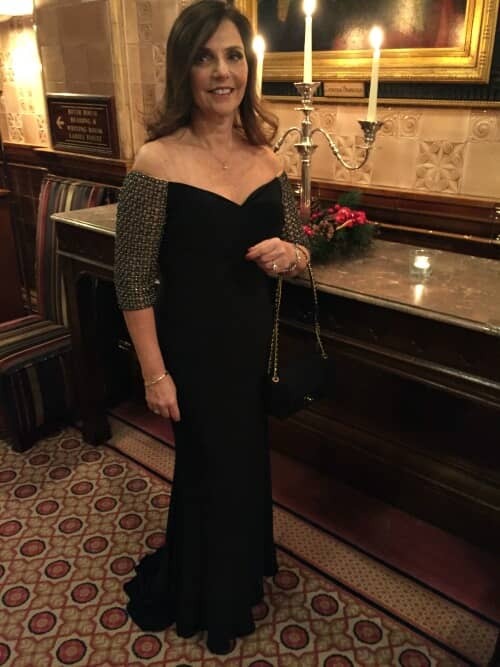 Our lovely client needed a dress for an Oxford Ball back in March. She looks gorgeous! 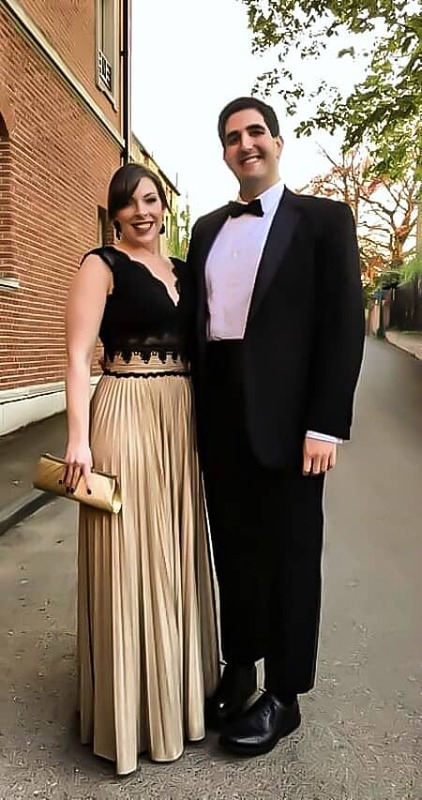 She is wearing our black scallop lace bodice, accompanied by a soft pleated gold full skirt, perfect for dancing in! 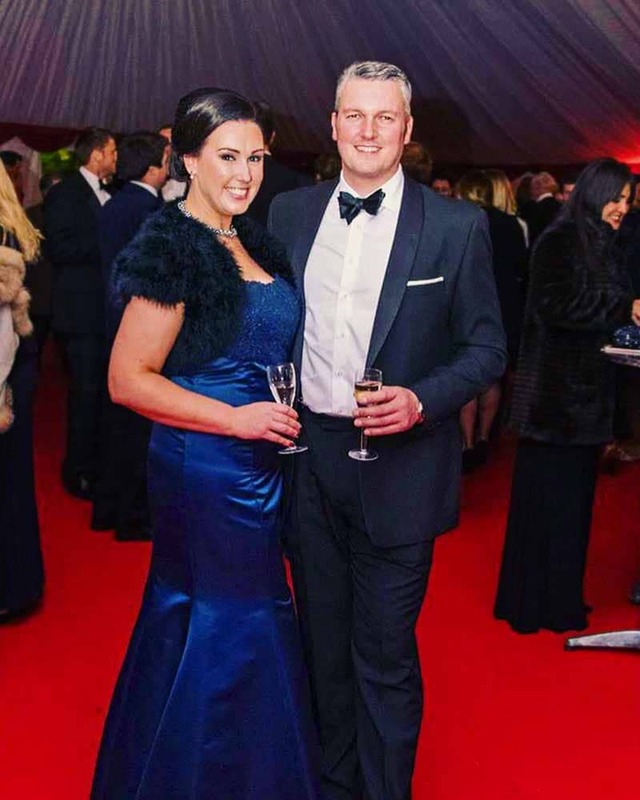 Our lovely client, pictured above with handsome beau recently attended a Hunt Ball at the weekend. She opted for a trumpet evening dress, royal blue, in taffeta. 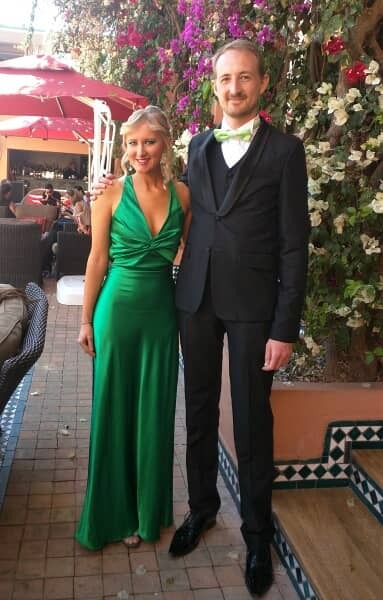 Our beautiful emerald green satin sheath evening gown, got to go a black-tie wedding in Marrakesh, complete with Moroccan style hair and make-up. 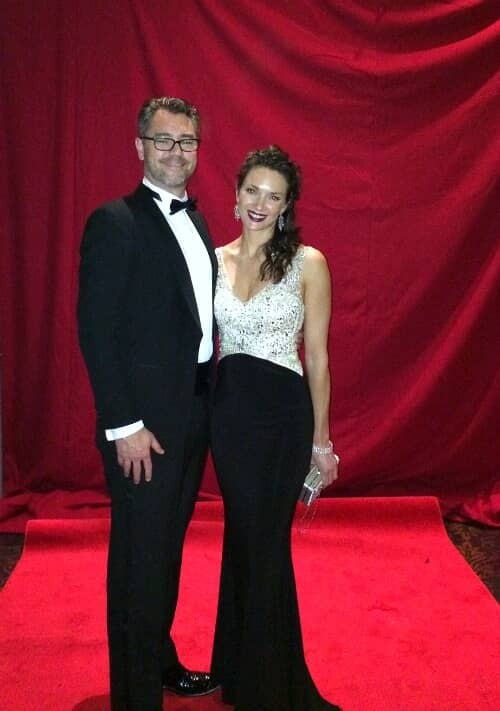 Here’s our lovely Cynthia, wearing an off the shoulder evening dress, sweetheart neckline, full length black jersey. Worn to a snazzy Christmas party. 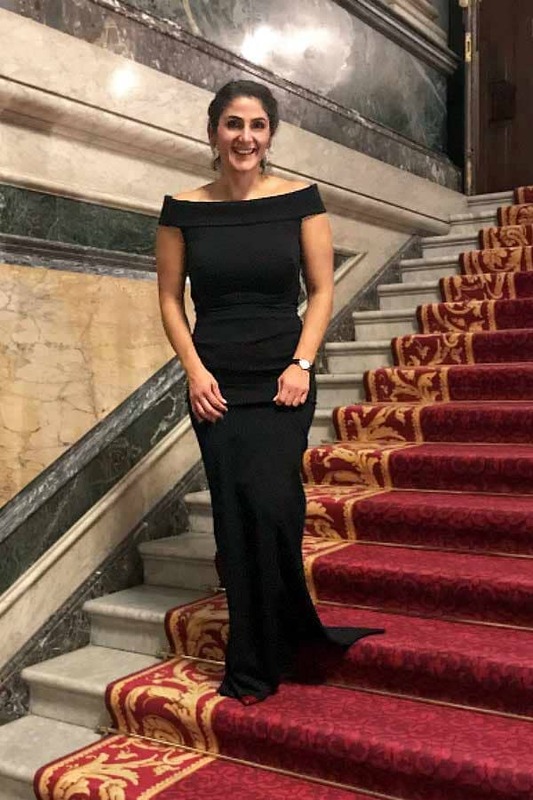 Julia and her partner attended a function at Windsor Castle earlier this month. She can be seen wearing our new, silver crystal v-neck, with black jersey dress.